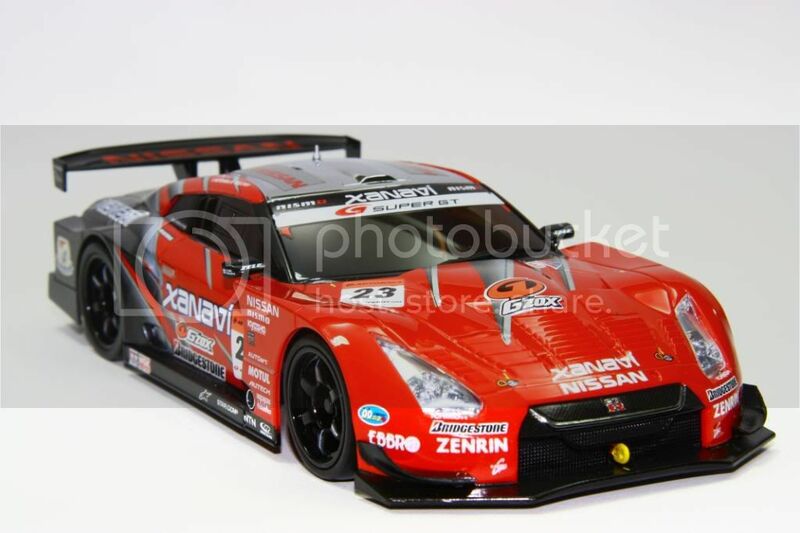 well one of my gripes with this body is that it sits too high and there is way too much fender gap from kyosho. 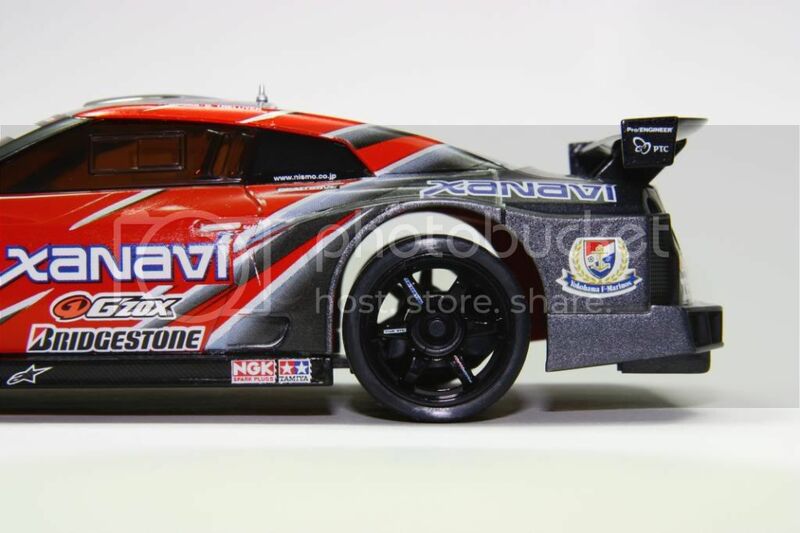 its almost like they messed the mold up or something so by luck i figured out a way to get the body to sit lower and truly represent what a GTR should look like!! the only restriction to this mod is that you cannot use the headlight buckets, granted i have not tried the PN adj clip yet which should resolve that problem. 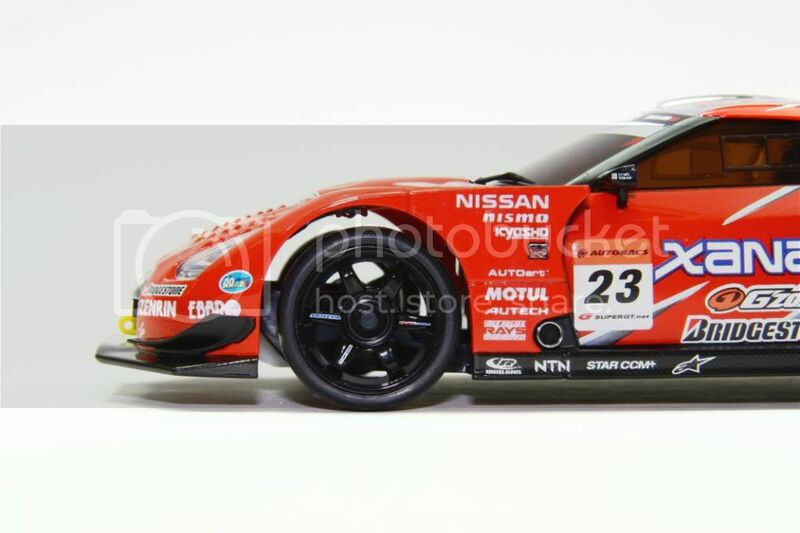 so what i have found is that the Pn pan car mount works perfectly with the GTr body to get the front down but if you use it than the back also sits even higher because the front tips down. unfortunately i did not take pics of this while i did it but you die hards should understand what i did. on the inside of the body there are stops that keep the side mounts level. there are four ridges on each side two of them dont touch the mount but the two center ones do. if you have the body in your hand and are looking at the two center ridges you will notice that at the bottom of the ridges there are 2 "stops" that keep the mounts from sliding down, well simply grind the raised edges off (only the bottom of the ridges, dont grind the entire ridges away!!)! the mounts also have built in stops but in stock form they do not do anything but now they just happened to get the body at perfect ride height!! donations accepted!! LOL here are a few pix! 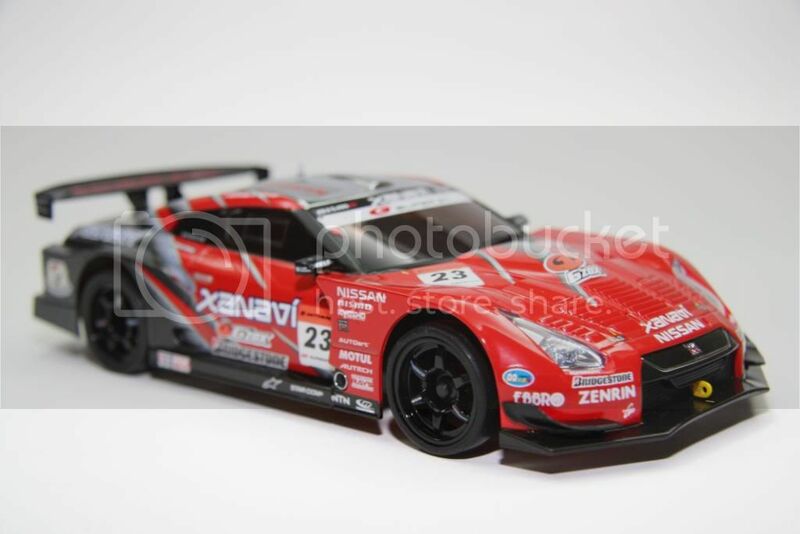 if any of you keep up with Super GT you will also notice that the 2010 GTR made some aerodynamic changes from the models that we have and they are: raised rear wing, smaller front diffuser, decreased rear overhange and lower half of bumper removed w/ larger rear diffuser (i have not made that yet). this paint job is not complete yet i still have to do some grind work and paint the front grill. but i took some styrene sheet and made a plate to cover up the underside of where i removed the lower half of the rear bumper. i will try and find the link and post it. This is my GTR 2008 body, I ran in San Jose 2WD Mod class, I cut the body to run 94mm wheel base, in practice time I use F430 GT, but the track not enough grip and stable to me, so I change the GTR body in last minutes, mt car fell more stable and easy to control, I use my Interchangeable body mount to load down my body, and I use Pan Car wing to cut it to make the Spoiler for this body, less weight at rear. see how high the rear is? my mod wil lower it down but it looks like your front mount will work perfect! im gonna order one tomorrow!